Since its inception, Ajax Textile has strived to promote quality, reliability, innovation and service as part of its corporate philosophy. The ability to create a strong, dedicated and innovative team, in partnership with customers and suppliers, has allowed this philosophy to become the standard by which we operate. This family owned commission dyeing and finishing operation was first started in 1954 by Tony Serra, an experienced dyer and businessman, in a small 2,000 sq. 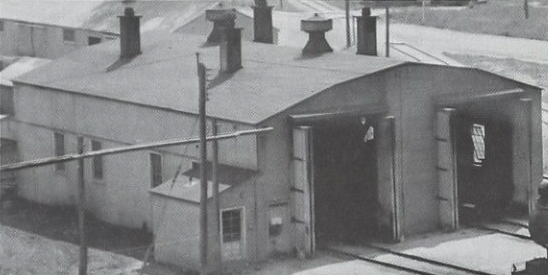 ft. post-war building. His son Harold was groomed to take over the company by learning all aspects of the business and industry from the floor on up. In 1966, due to Tony’s premature death, Harold was thrust to the forefront and at a very young age, began building the business based on the ideals, philosophies and foundation left to him by his father. Under his leadership, the company has become the leader in the industry and is one of the largest, most modern and diversified commission dyeing and finishing operations in North America serving the North American market. As we have experienced over the last 60 years, competition and more recently, global competition, has been a major catalyst for change to our industry and in our customer’s needs and requirements. Our responsibility is to ensure Ajax Textile meets and exceeds the expectations of our customers and the marketplace. As a result, the operation has expanded into a 100,000+ sq. ft. facility and has diversified its capabilities through constant innovation, equipment modernization and research and development initiatives, specializing in processing all types of traditional fabric, fabric blends, garments and the emerging performance, organic and nano-textile markets. Our proven ability toform strategic alliances and to develop new technological fabrics and processes with our customers has resulted in our combined capacity to compete in today’s global market. This state of the art operation has become one of the largest high-temperature, high-pressure computer controlled dyeing and finishing facilities in North America with annual dyeing capabilities in excess of 12,500,000 kgs (27,500,000 lbs). We have assembled a dynamic combination of modern equipment, technical expertise, innovation, R&D projects and dedicated experienced workforce to serve all of our customer’s needs. These factors have established our solid reputation for producing consistent high quality with extremely fast turn around times allowing us to efficiently serve both primary and secondary markets. This attribute clearly sets us apart from our competition. These qualities have become our trademark and will continue to be the drivi ng force behind the company as we move ahead into the future.